Too tired to go out? 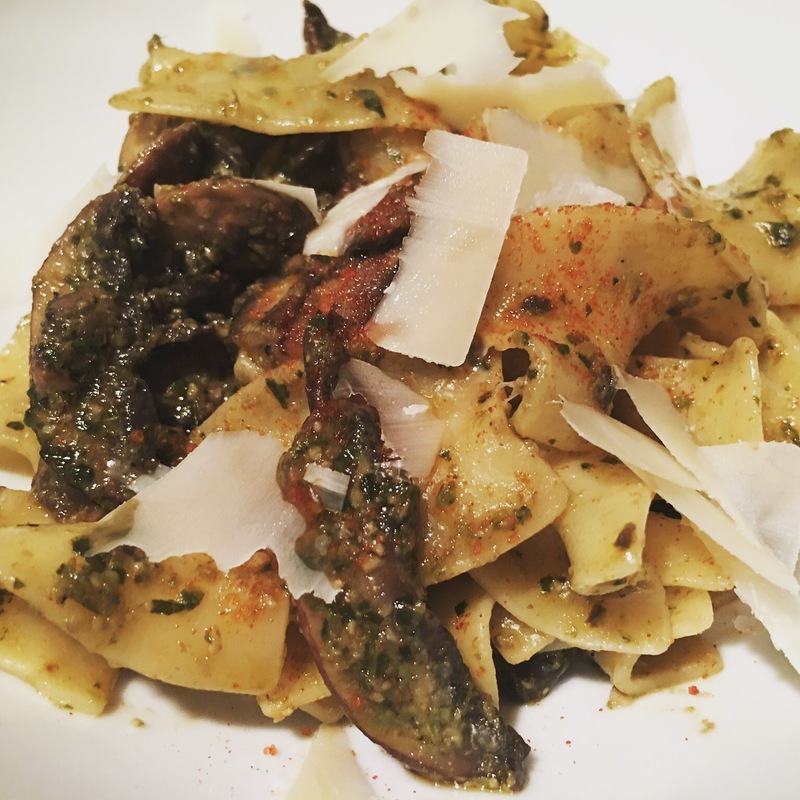 Pasta with pesto and mushrooms! – Hurried Home Chef! Too tired to go out? Pasta with pesto and mushrooms! Sometimes the fridge is almost empty and all you have left are staples. This is why it’s important to have a few items that do not spoil too quickly. One of them being a jarred pesto sauce. First, put the water on to boil, the bare minimum needed to boil the amount you are going to make. 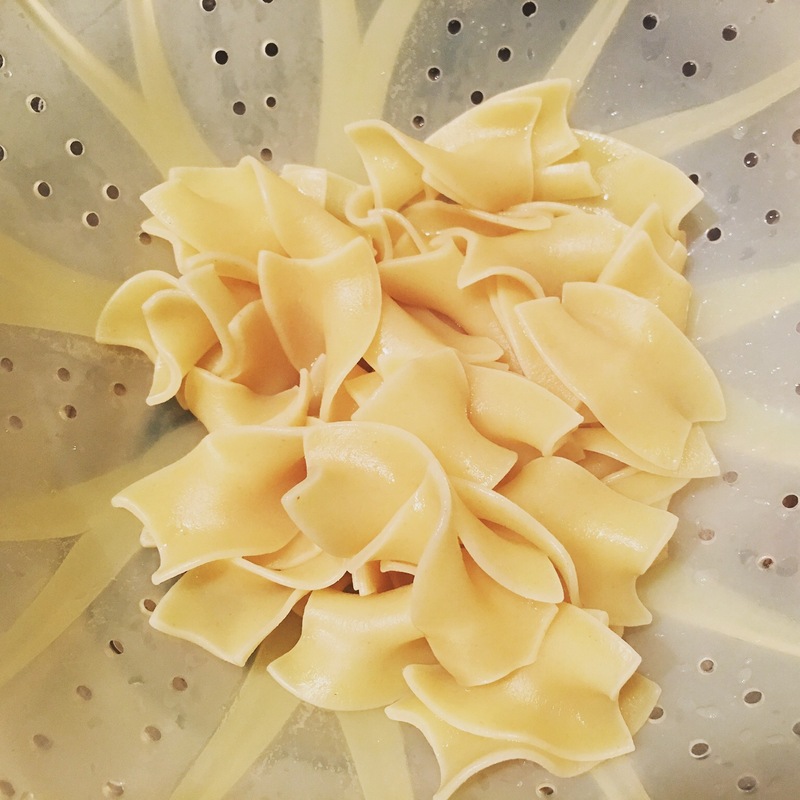 I used egg noodles, because they cook faster and they aren’t so dense as penne. Meanwhile, see what vegetables you have around, I had mushrooms and diced them up. You can also use left over asparagus, spinach, brussel sprouts, or even frozen peas. If the veg is raw, you can blanche it while the pasta is boiling. If you have any leftover chicken hanging around, you can add it too. 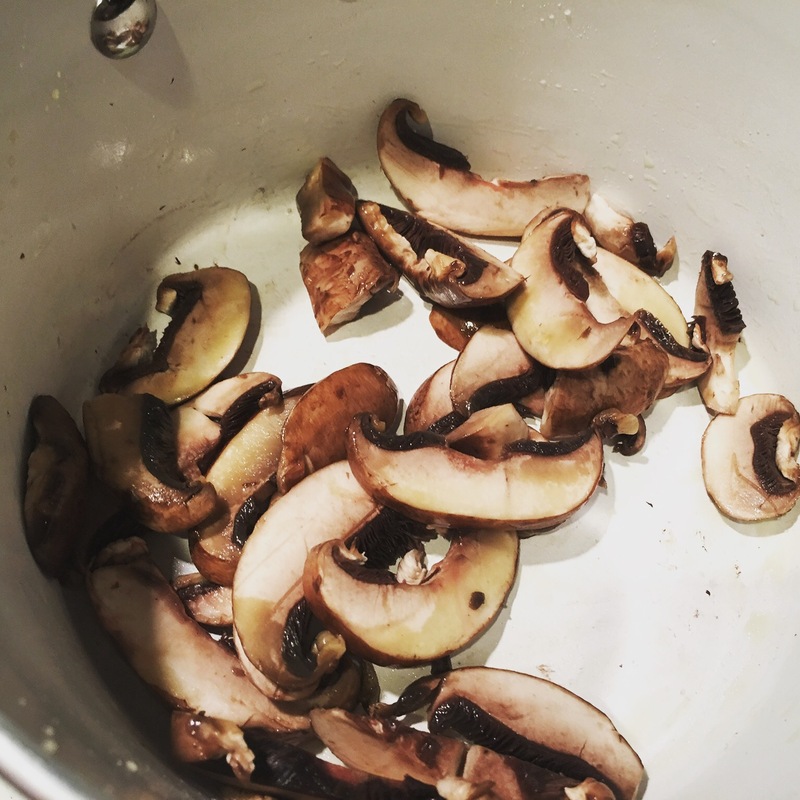 As soon as I drained the pasta, I put the mushrooms in with a little EVOO, salt, cayenne pepper, and crushed garlic. Let that get a little crispy. Turn off the stove, add the pesto and the cooked pasta. Stir and taste, add more pesto to your liking. I added more hot pepper too. Shave a little parm on top and get back to Netflix. It took me 15 minutes!